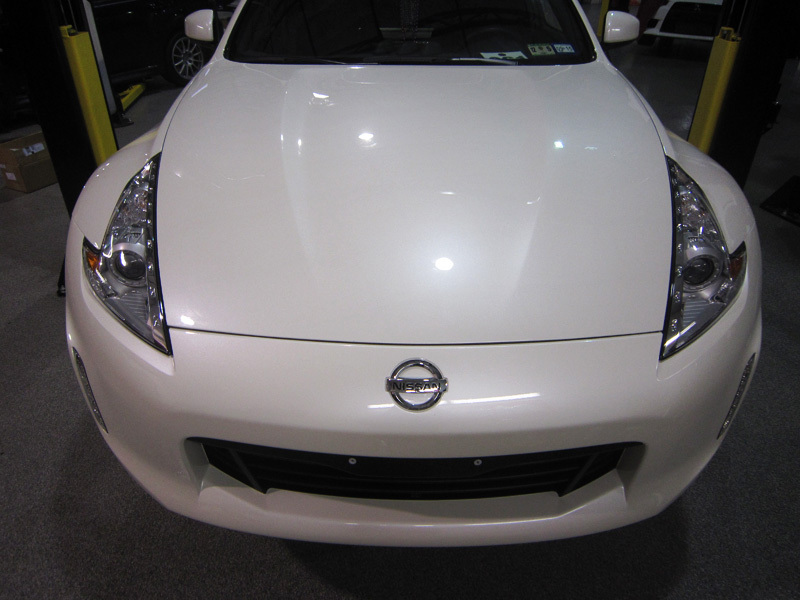 At about 6,000 miles this 2014 Nissan 370Z it was in for its clear bra. After the owner had a variety of paint chips touched up our Modern Armor Level Three Paint protection package was applied using 3M's latest material - Scortchgard Pro Series. Coverage for the Nissan 370Z includes coverage for the hood and fenders - to the back of the headlights as shown, and a full coverage bumper. Now it can be driven with some piece of mind knowing that the front half of the hood, front portions of the fenders and full bumper now have a layer of protection!